This advanced purse making class is great for those ready to play with leather, pleather, vinyl or cork. 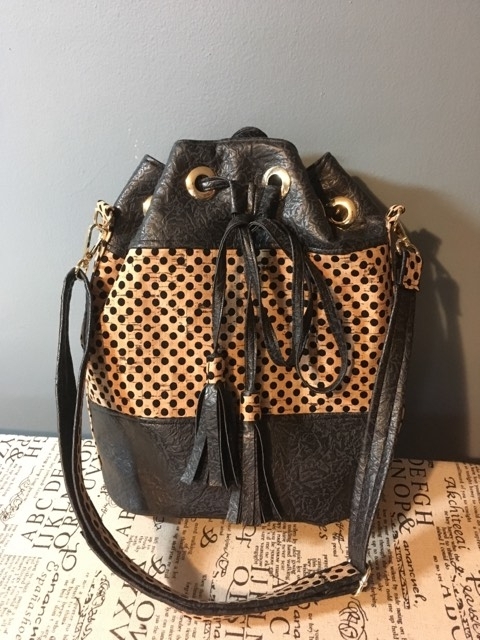 It comes complete with a hidden zipper pocket, an adjustable strap, tassels, feet, grommets and more. It goes together with ease. For this class, you will need to come with all materials cut out from the pattern BEFORE class to complete it. This advanced purse making class is great for those ready to play with leather, pleather, vinyl or cork. 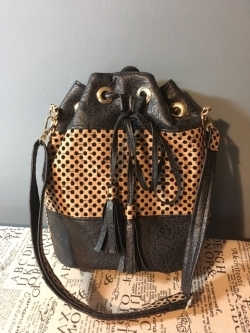 It comes complete with a hidden zipper pocket, an adjustable strap, tassels, feet, grommets and more. It goes together with ease. Since this is an all day class, we will be taking a short lunch break from around 12:00-1:00pm. Lunch will not be provided. All of the Following Materials need to be cut out to the pattern pieces BEFORE class. The following is just the total materials needed.